The month of Ramadan brings numerous Iftar occasions that call for fashionable styles and elegant attitudes. 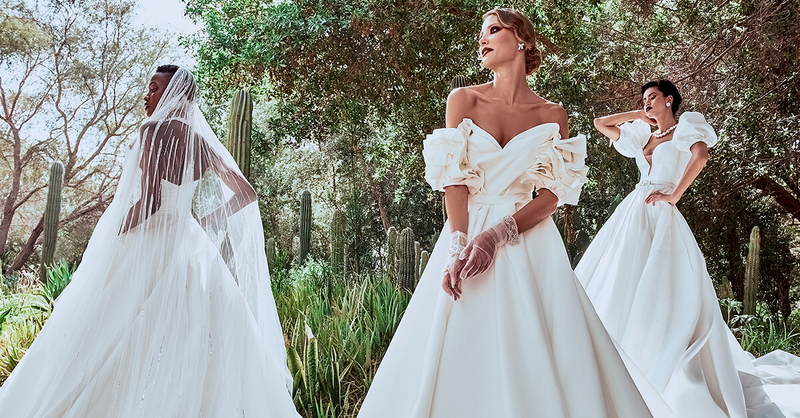 Esposa Privé answers the call with a new Ramadan collection that lands in Beirut, Dubai and Abu Dhabi with a fresh breeze of Spring. Embodying the blossoming season in every way, the new arrival inspires pleasant freshness and flowery gardens through gowns distinguished by a bright elegance. With prevailing joyful colors and trendy cuts, the collection highlights festive outfits that make the month of Ramadan even more special. An overall look at the collection confirms that the princess gown cut is the style to go for this year. Whether you fancy three-quarter or long dresses, you’re either way “in vogue” this Ramadan. However, your elegance will not be complete without one or more tones of the floral palette, which gives you choices all the way from pastel to flashy colors, passing by baby blue, moutarde, green, purple, pink, and yellow. On the more sober side, the mix of black and white, beautifully married with a touch of lace or embroidery, seems to prevail majestically. The collection’s elegance is amplified by exquisite fabrics as well as creative designs and motifs that make it ever so attractive. Unfolding high-neck cuts, dresses flow in fluent silk or stand in oversized bows, gracefully designed and adorned to fit any Ramadan night style. The ravishing collection is awaiting you at Esposa Privé boutiques in Downtown Beirut Lebanon, Jumeirah Dubai and Yas Mall Abudhabi to offer you the latest Spring trends and dress your sumptuous Ramadan and Eid occasions.